So you’ve looked in your game closet and everything seems so tired. You’ve played every game a zillion times and you want something new, and you want it now. What do you do? You make your own game! If you’ve got the paper, a pencil and a few coins, I’ve got the instructions. 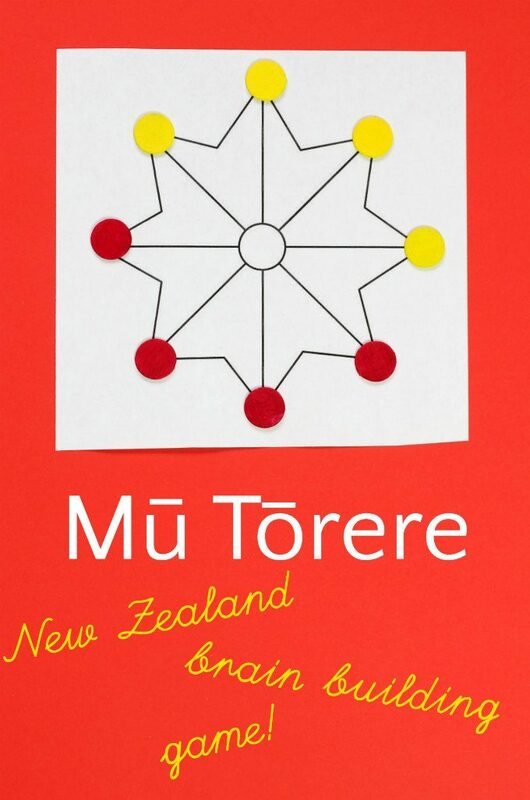 Today we are playing Mū Tōrere, a board-type game indigenous to the Māori of New Zealand. 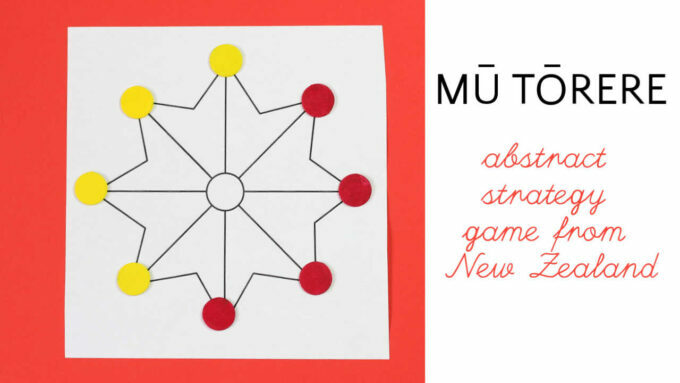 Like many traditional games, Mū Tōrere is an abstract strategy game, which essentially means it is not a game of chance. 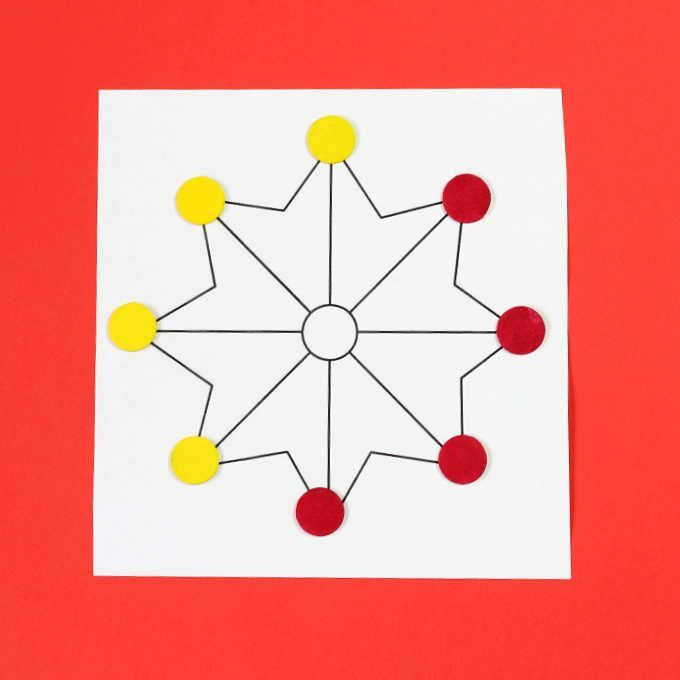 For example, Tic Tac Toe is an abstract strategy game. Every move affects the outcome, and players must think ahead in order to play well. Primarily Mū Tōrere was played by the Ngāti Porou tribe. 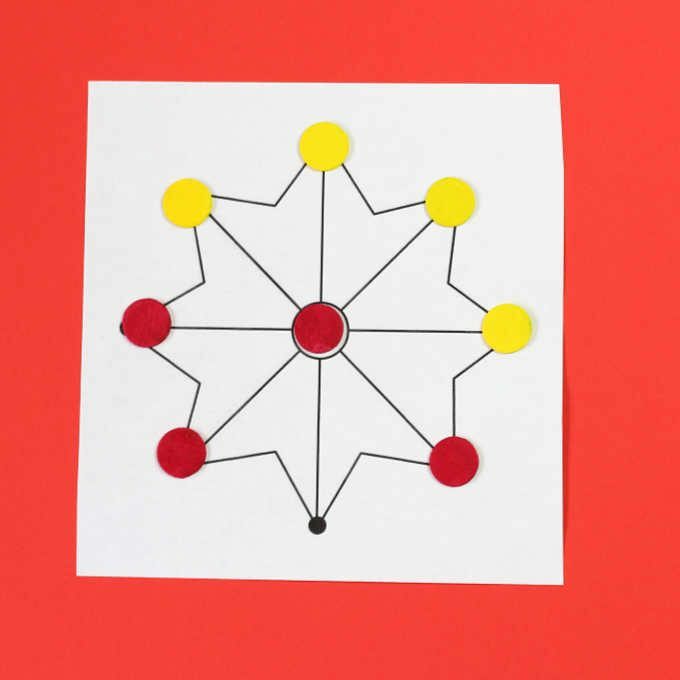 They played on a slab, piece of bark or on marks drawn into the earth, but we are going to learn how to play Mū Tōrere with some game tokens on a paper “board.” Once your children master the rules, they can go out and play in the sand, or wherever their little creative minds take them. Objective: To trap the opponent’s tokens so that he cannot move. Game board, drawn as shown. Make your own, or download ours here. The center area is called the pūtahi. Players alternate turns, moving tokens one at a time. 1. From one point on the perimeter of the star star to another. These points are called kawai. 2. From the pūtahi onto the kawai. 3. From the kawai into the pūtahi, only if one or both of the adjacent kawai are occupied by the opponent’s tokens. Here is an example of a legal opening move. The first player who successfully blocks his opponent from moving is the winner. Alternate rule: The restriction on rule #3 applies only to the first two moves of the game. Note: It is possible for players to get in a rut. 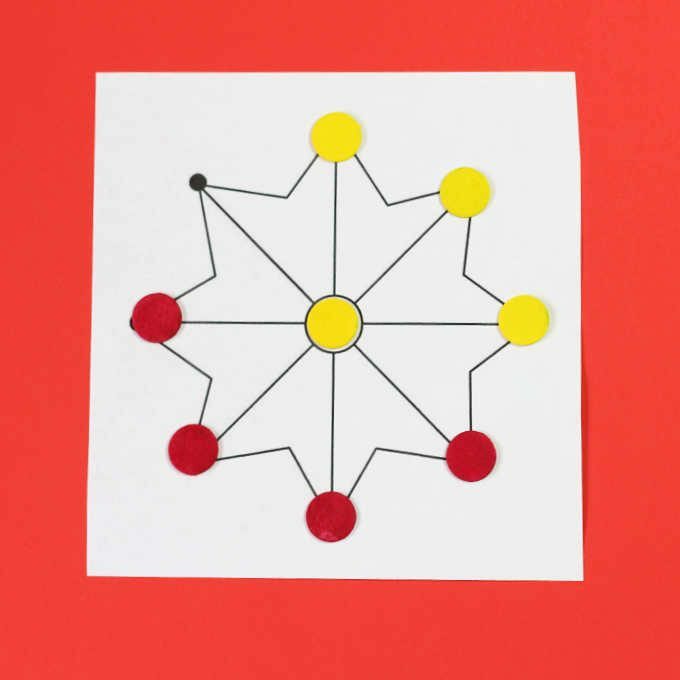 If one player puts his token in the center and refuses to move it out, the other tokens will simply move around the perimeter forever. The link to the gameboard for Mu Torere doesn’t work….any way you could send me the board? Can’t wait to try it. Hi Nancy, I solved the problem — a little technical glitch, thanks for pointing that out. It should work now!